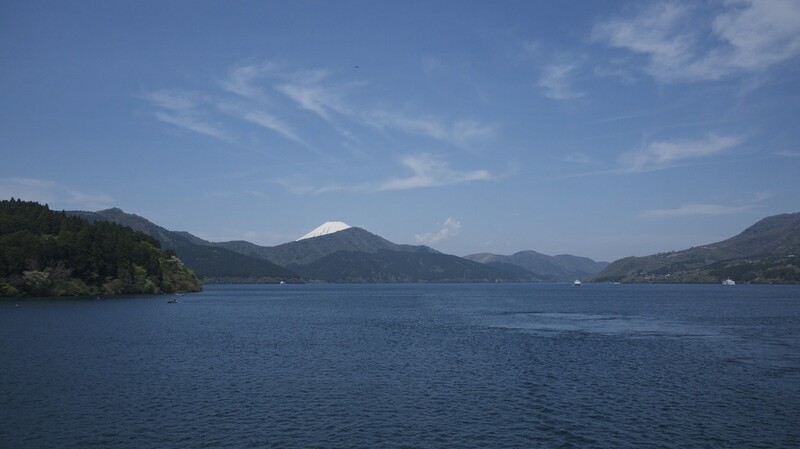 Back in May my parents came to visit me in Japan and we spent a weekend in Hakone (箱根町), a mountainous area west of Tokyo known for its stunning views of Mount Fuji (富士山) as well as being on the route of the Old Tokaido Highway (東海道) which historically connected Tokyo to Kyoto. We made an early start on Saturday and followed the fairly popular circular trail beginning at Gora Station (強羅駅). 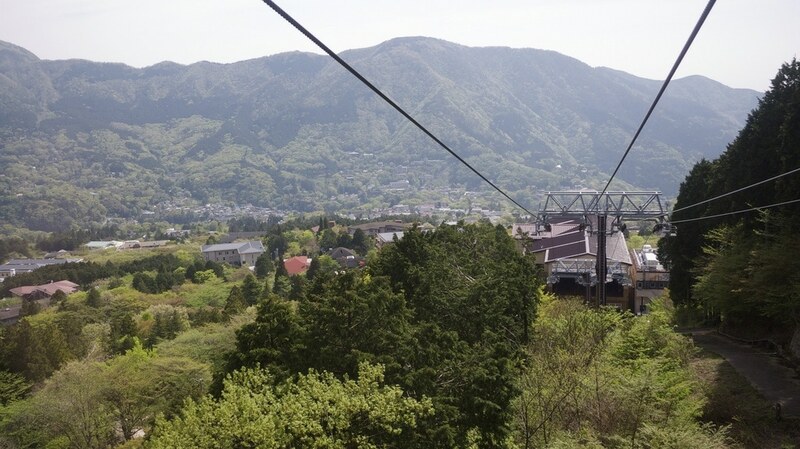 From here we took the funicular Hakone-Tozan Cable Car (箱根登山ケーブルカー) to Sounzan Station (早雲山駅) which directly links to the Hakone Ropeway (箱根ロープウェイ). 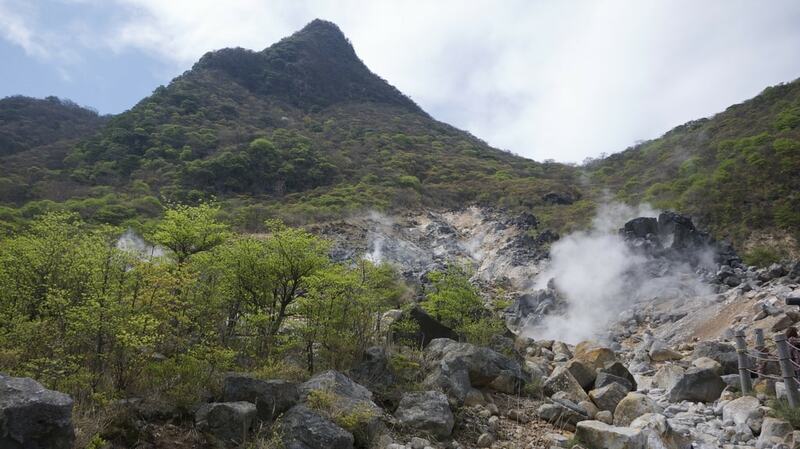 The aerial lift then takes you all the way to Owakudani (大涌谷), a volcanic valley with active sulphur vents and hot springs, created during the last eruption of Mount Hakone 3000 years ago. 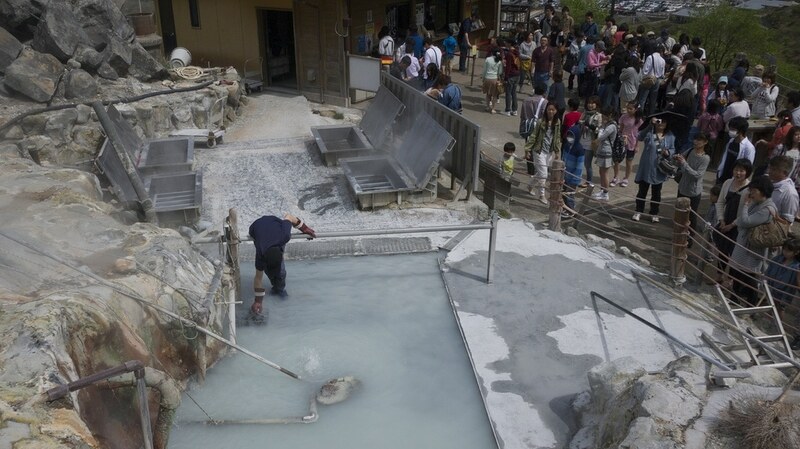 Many people come here to try a local specialty of eggs hard-boiled in the hot springs known as Kuro-tamago (黒卵). Eating one of the blackened eggs is said to add seven years to your life although, what with the overpowering smell of sulphur, I gave it a miss! We were extremely lucky with the weather and had perfect views of Fuji on the horizon. It’s easy to see why the symmetrical cone of the mountain has become such an iconic landmark. 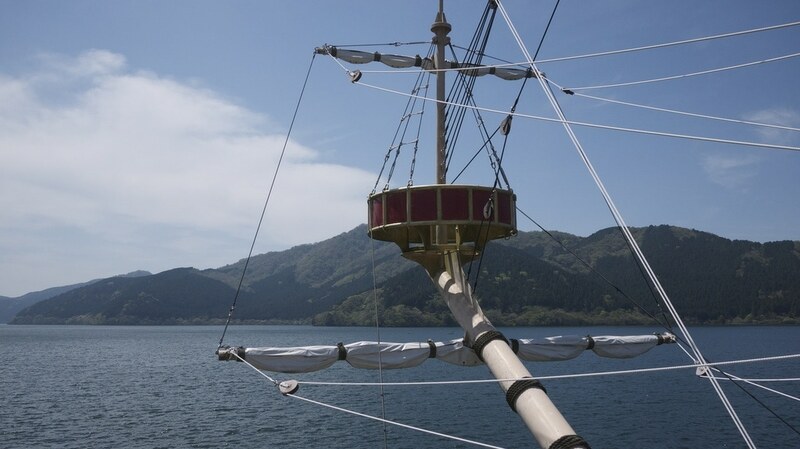 After taking the ropeway down to Lake Ashi (芦ノ湖) on the other side we hopped on a gaudy looking ferry decked out as a pirate ship which took us across to Hakone-machi. 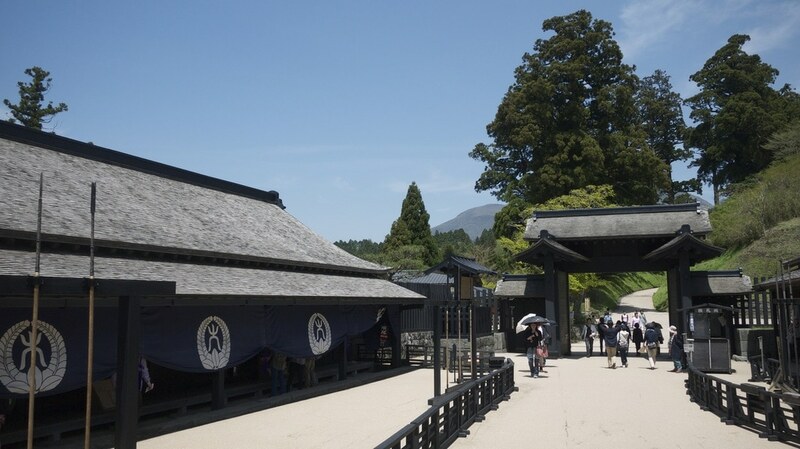 Hakone used to be an important checkpoint to control traffic along the Tokaido highway during the feudal Edo Period. 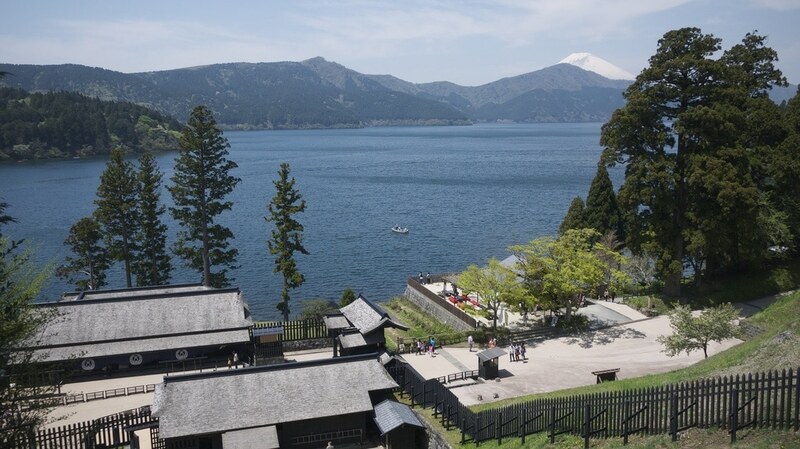 Today an accurate reconstruction of the Hakone Checkpoint (箱根関所) in its original footprint can be found on the lake shore including its gates, housing for soldiers, a prison and a lookout tower. 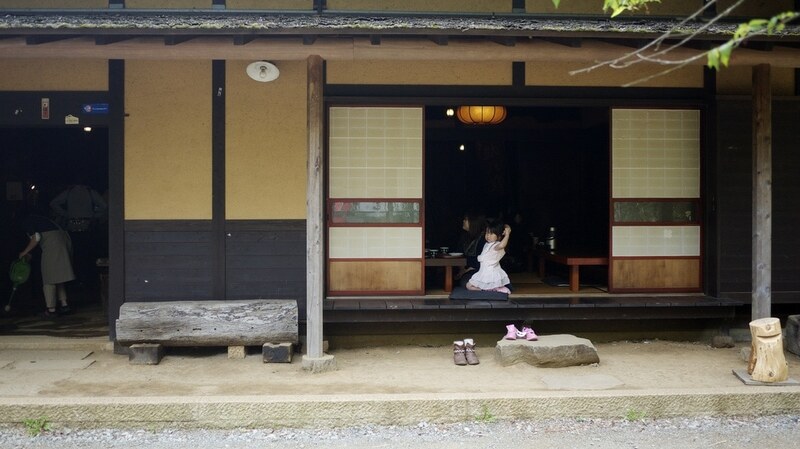 Under the Tokugawa shogunate, all travellers entering and leaving Edo along the Tokaido were stopped here by officials. Their travel permits and baggage were examined to enforce laws that restricted the travel of women and weapons. 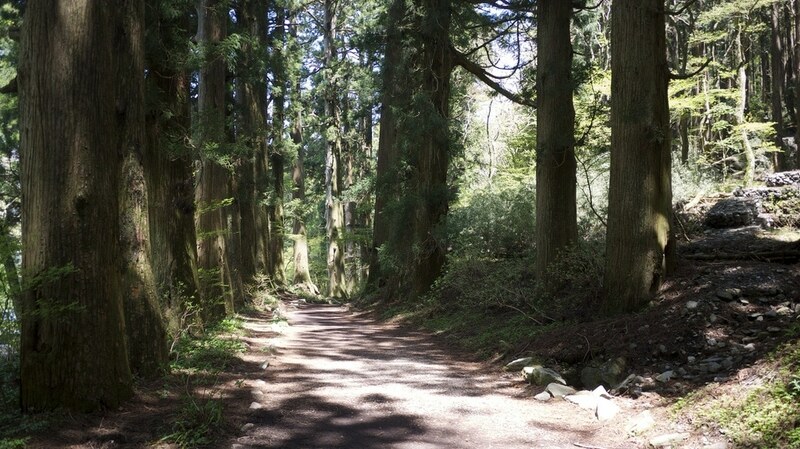 Beyond the checkpoint is a beautiful cedar avenue which marks the beginning of the best preserved section of the old Tokaido highway, also referred to as Kyu-kaido (旧街道), which leads from Moto-Hakone to Hatajuku. 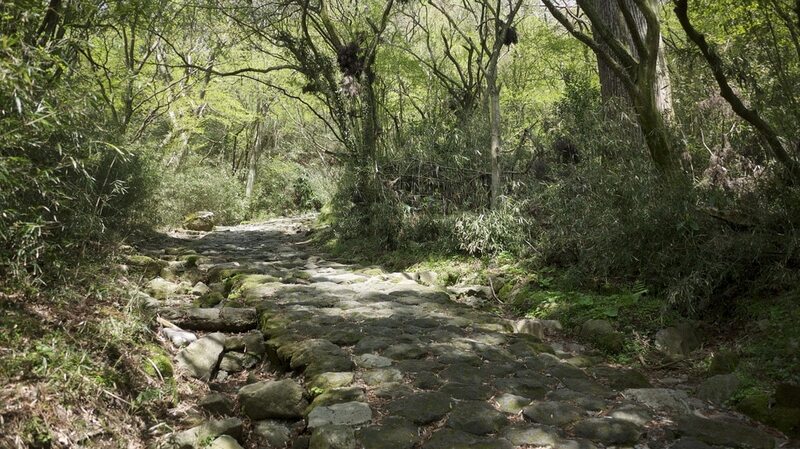 Amazingly, stretches of the original 400 year old stone pavements have survived and it makes for an atmospheric short hike of around an 2 hours under the shade of the trees. 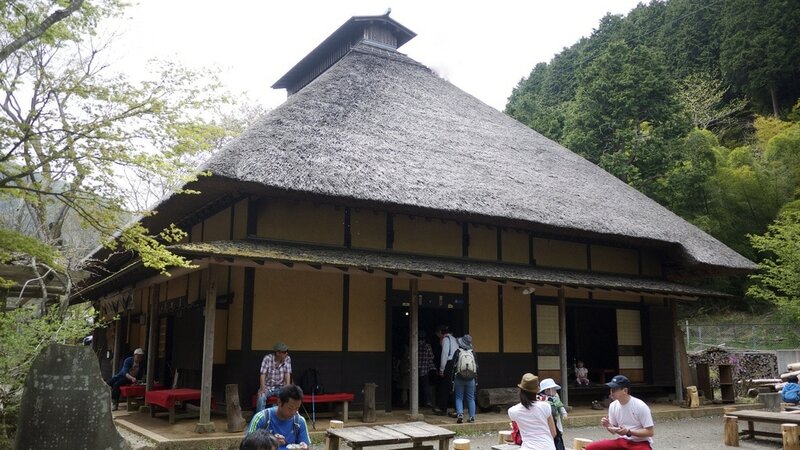 Along the way we stopping off at Amazake Chaya (甘酒茶屋 – literally “Sweet Alcohol Teahouse”), a thatched teahouse which has been serving travellers for more than 350 years, and the last of its kind remaining. 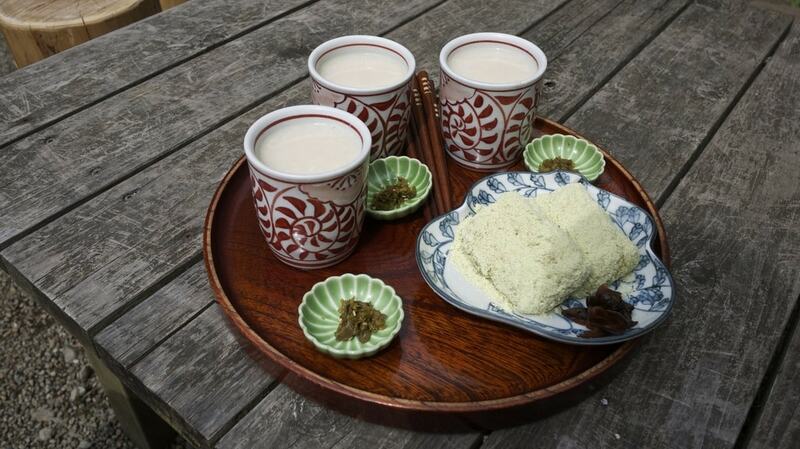 Naturally sweet amazake rice wine (non-alcoholic) is served with pickles on the side along with hot mochi cakes dusted with soy powder or black sesame make for a tasty snack. From Hatajuku you can take the bus back to Hakone-Yumoto (箱根湯本駅) from where we took the picturesque Hakone Tozan Railway (箱根登山鉄道) through the mountains back to Gora, a very enjoyable ride on its own. Being only a 90 minute train ride away from Shinjuku in Tokyo, you could make the trip in day but it’s probably worth staying overnight, especially if you want to enjoy the hot springs. 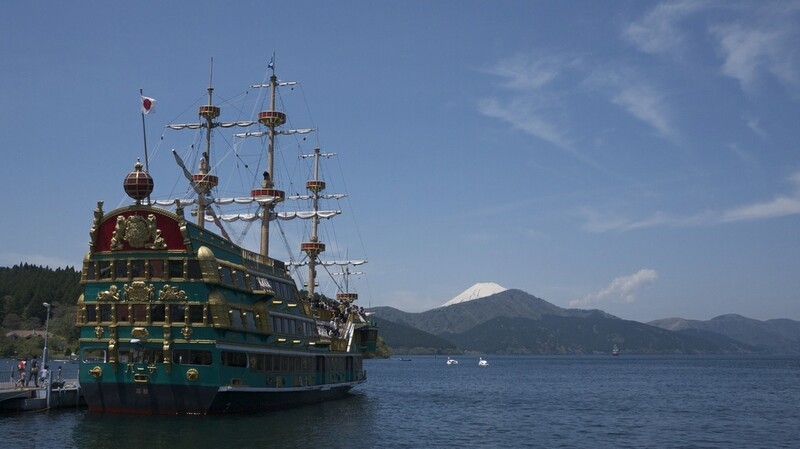 It’s definitely worth getting the Hakone Freepass (5,140 yen) which covers all transport costs to/from and within the region. 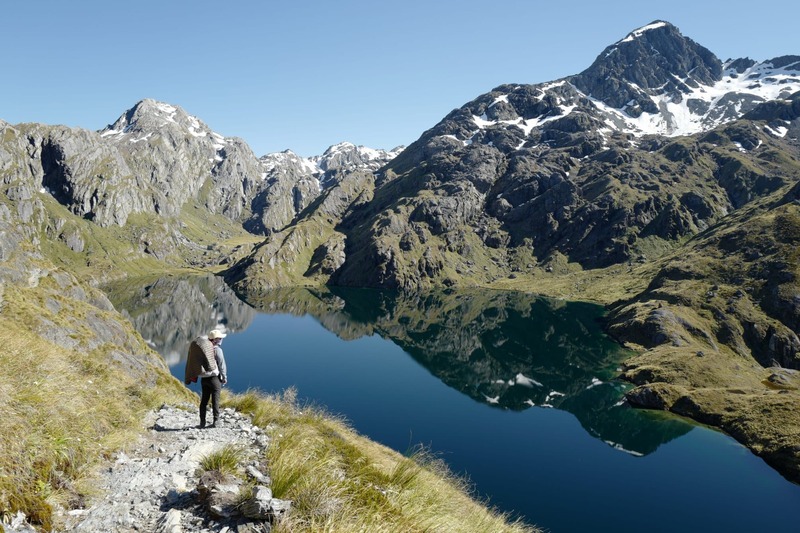 Really nice travel blog. Might try this on our next visit to Yokosuka! Thanks for writing this up. Hi! 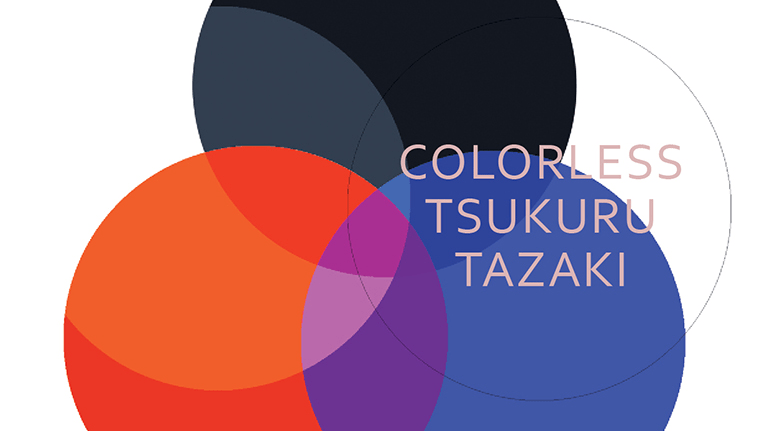 Really enjoyed your blog! Did you do the 2 hour hike on the same day? Did you have to wear special hiking shoes ? 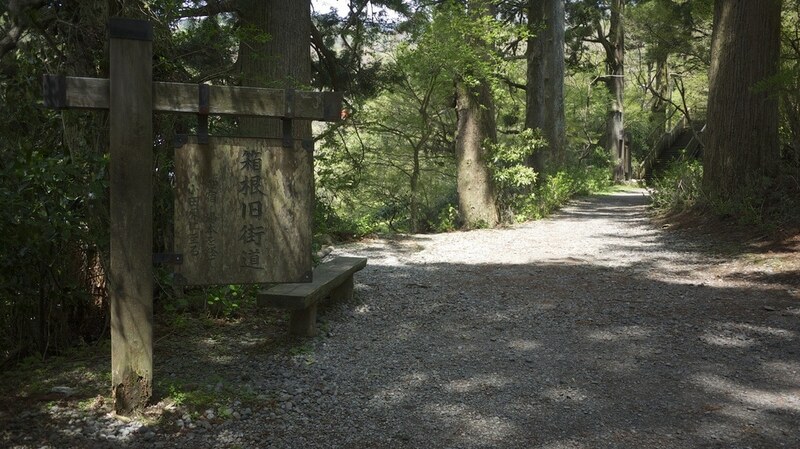 Would you recommend to do the hike from Hatajuku to Moto-Hakone instead? Hi, thanks for posting this. I’m going to Japan for the first time next month and we are planning on walking from Moto-Hakone to Hatajuku. How long does the hike take? 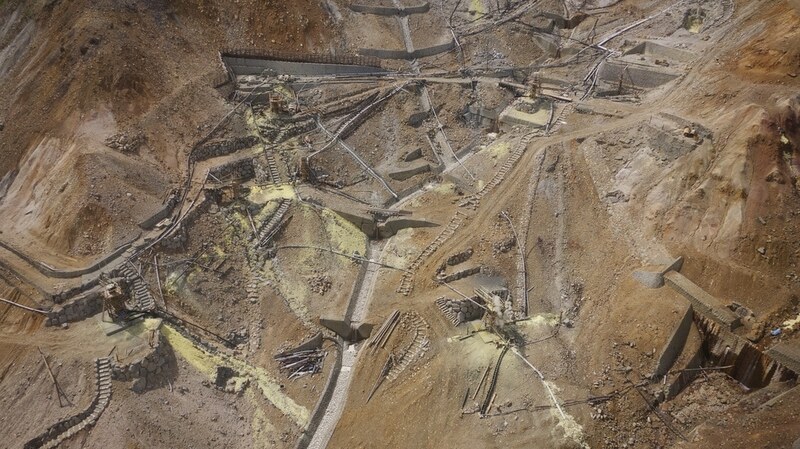 When I looked it up on other websites, people said it was about 11km, or over 6 miles long. Is this true? 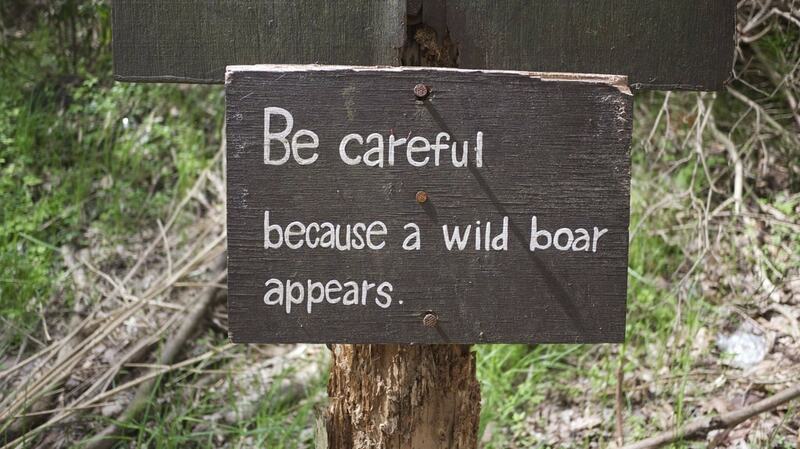 I’d be more than happy to do the whole hike, but I’d like to plan for it accordingly. Hi Garrett, 11km sounds about right but I don’t remember it taking more than about 3 hours. Hello! This day-trip sounds amazing. 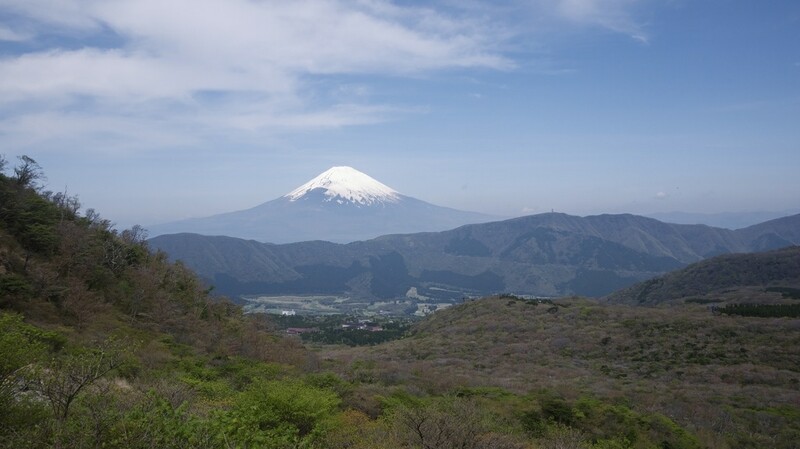 I will be going to Hakone for a day at the end of December and would love to do a little hiking (weather permitting). Did you have to pay any fees or book anything in advance? Hi Kristie, you can get a ticket from Shinjuku station in Tokyo that includes all the transportation (train/bus/ropeway/boat). You don’t need to book this in advance.